ESPN+ Named Exclusive Streamer of Manny Pacquiao, Lucas Matthysse Fight in the U.S. The next chapter in the storied career of former eight-division world champion and future first-ballot Hall of Famer, Manny “Pacman” Pacquiao, will stream live and exclusively in the United States on Saturday, July 14 at 9 p.m. 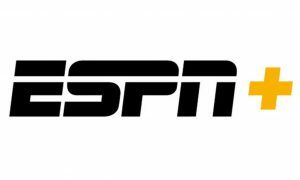 ET on ESPN+ — the recently-launched multi-sport, direct-to-consumer subscription streaming service from The Walt Disney Company’s Direct-to-Consumer & International segment in conjunction with ESPN. This will be Pacquiao’s first fight since headlining cable television’s highest-rated and most-watched boxing telecast since 2006, when he fought Jeff Horn in July of 2017 on ESPN. Pacquiao-Matthysse will cap a full day of boxing on the ESPN family of networks, as Regis “Rougarou” Prograis will defend the WBC Diamond super lightweight title against Juan Jose Velasco, and lightweight sensation Teofimo Lopez will face William Silva, live on ESPN and ESPN Deportes at 7 p.m. ET and via streaming on the ESPN App from the Lakefront Arena in New Orleans. Undercard action from New Orleans will stream live on ESPN+ starting at 4:30 p.m. ET.